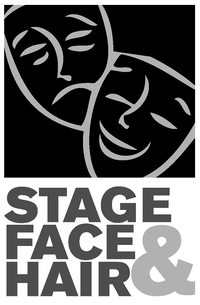 John Hollan is the founder and creative force behind Stage Face and Hair. His first role in a musical production was playing Tweedle Dum in a second grade production of Alice in Wonderland. By his own admission, he’s had the “theatre bug” ever since, dabbling with musical theatre throughout his life. Although his formal training has placed him on many stages as an actor, singer and conductor, his guilty pleasure in recent years takes place behind the scenes, styling productions for the theatre. A self-taught designer, John is strongly skilled in makeup design, hair and wig dressing, and he finds particular joy in educating young actors about the use of stage makeup through guest lectures, makeup classes, workshops, and theatre camps. 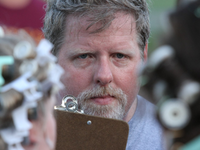 He enjoys ongoing partnerships with numerous professional and community theatre troupes and serves as a mentor and artist-in-residence for several area high school theatre programs. He has designed in venues all around Kansas City including The Theatre in the Park, Metropolitan Ensemble Theatre, The Lewis and Shirley White Theatre, Fringe Central, the historic St. Mary’s Episcopal Church, H&R Block City Stage at Union Station, Just Off Broadway Theatre in Penn Valley Park, The Unicorn Theatre, and the Kansas City Music Hall. He is married to Melinda, the love of his life for nearly 30 years, and together they have three daughters, all of whom have inherited their father’s passion for the stage.